Video by Alison McCarthy in 2002 at CBGB’s 313 Gallery. 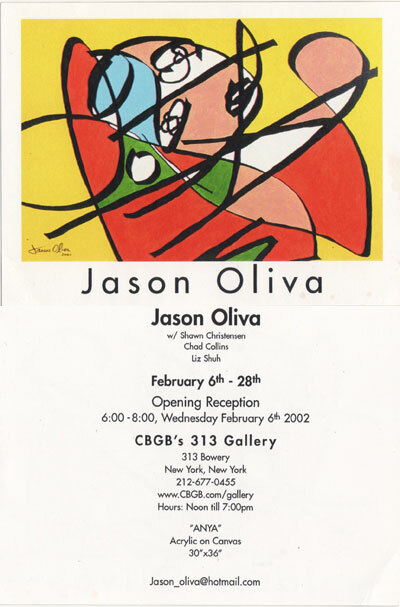 Here is a video that Alison McCarthy shot of our group show in 2002 at CBGB’s 313 Gallery in NYC. It was Shawn Christensen, Liz Shuh, Chad Collins and myself. I am currently in the process of organising a show in NYC this September and will post more details closer to the time.